Panoramic View Villa has something for everyone. Spend your days swimming in the pool, lounging on one of the padded chaise chairs reading that long-postponed novel, or racking up a game of billiards on the outdoor table. Just a few minutes’ drive from Gustavia, you’ll have access to snorkeling, scuba diving, wind surfing, or parasailing. 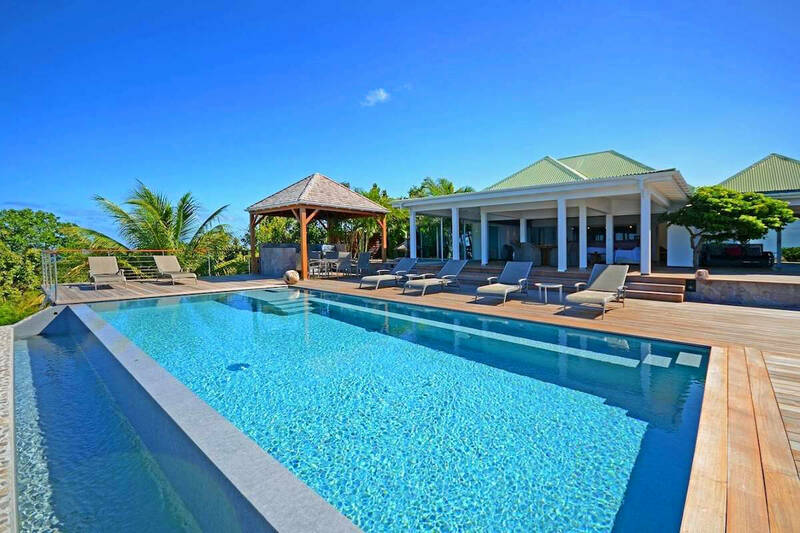 Best of all, this villa is ideal for large gatherings. The covered patio and barbeque grill practically scream, ‘Let’s have a party!’ Situated in the crow’s nest of the island, you and your guests can turn on some music and dance the night away. Stunning views! LARGE & MODERN! Two minutes drive from Gouverneur beach.